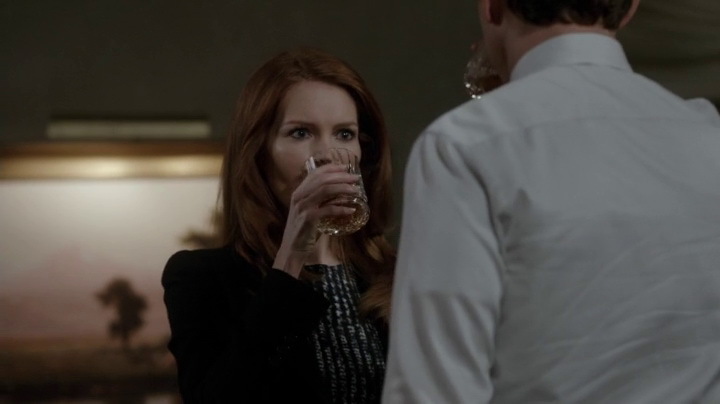 American TV show Scandal has an interesting take on drinking alcohol. There is the main character Olivia Pope who drinks expensive red wine and there is Fitz, the president of the USA, who drinks expensive scotch. Let’s take a look at his drinking habits with a special focus on brands of scotch. Abby didn’t mention the brand of the best scotch or any other details. 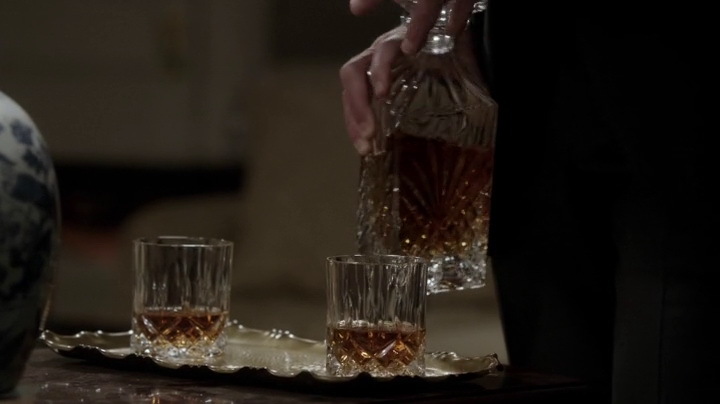 However, in the sixth episode Fitz offered a glass of scotch to Rowan, Olivia’s father and the head of secret organization B613. If we combine those two scenes we now know that the president is fan of single malts and likes Old Pulteney, an unnamed 76 year old scotch and a 1955 Bowmore, which he considers the best in the world. 1. First of all we have to see if they’re using real brands in Scandal and not some fake ones. Yes, Bowmore and Old Pulteney are real brands. Both are distillers from Scotland. 3. Bowmore distillery was established in 1779 on the isle of Islay in Scotland. Bowmore 1955 is a rare spirit and you can pay several thousand US dollars to get it. However, Bowmore 1955 is not a famous spirit. That award goes to Bowmore 1957. This 54 year old scotch is the oldest whisky Bowmore ever released and also the oldest Islay single malt ever released. It was distilled in 1957, bottled in 2011 and released in autumn of 2012. 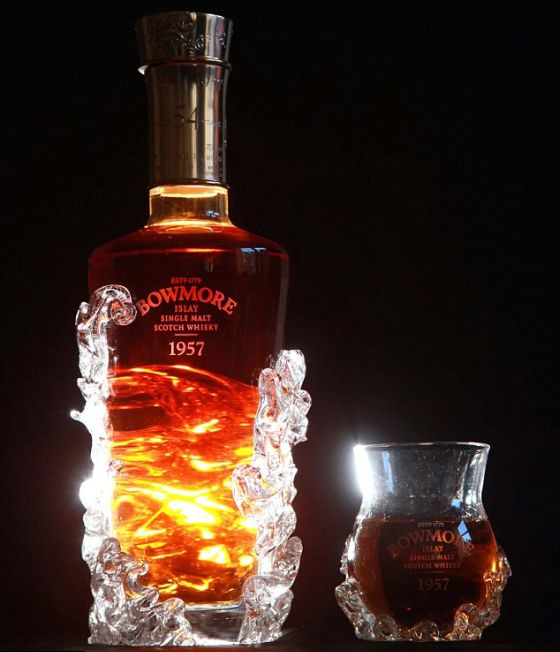 Only 12 bottles of the rarest Bowmore 1957 have been created. Two of these bottles have been auctioned, two have been retained for the Morrison Bowmore archives and the remaining eight were available for purchase by the public. The retail price for Bowmore 1957 was set at £100,000 (approx. $155,000). There were two setbacks in 2012 because no buyer was willing to meet the minimum price at two auctions: in Edinburgh and in New York. However, the first bottle was sold in the end of 2012 for $160,000 at the Bowmore distillery on Islay. The buyer was an anonymous American. The question is: have Scandal writers made a mistake in calling a relatively unknown Bowmore 1955 the best scotch in the world instead of the more famous Bowmore 1957? My forbearers came to the US from Wick, and Old Pulteney 12 has always been our favorite. I gave my better 90% a bottle of Old Pulteney 21 for Christmas, and we discovered that the Pretend President’s Pulteney Preference does appear to be spot on.